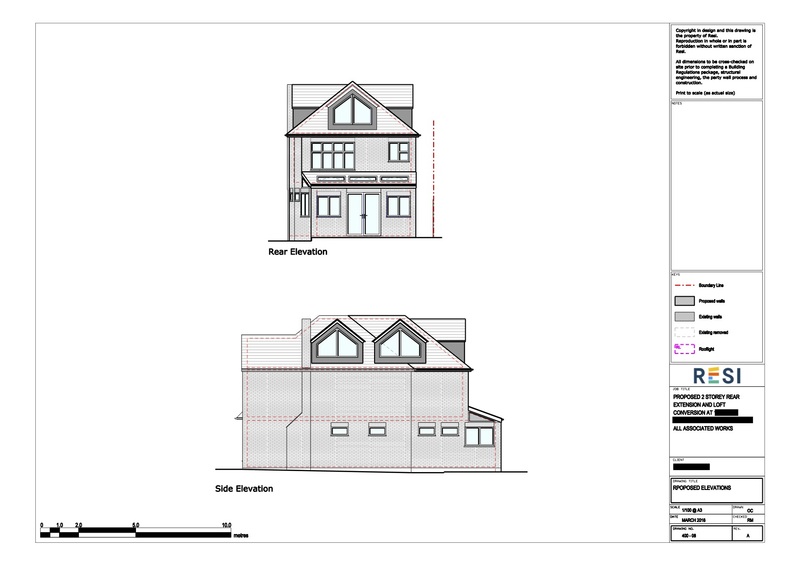 This home could not have benefited more from their extension. The project included a development on every floor, with a spacious room purely for socialising on the ground floor… perfect for a fast growing family! 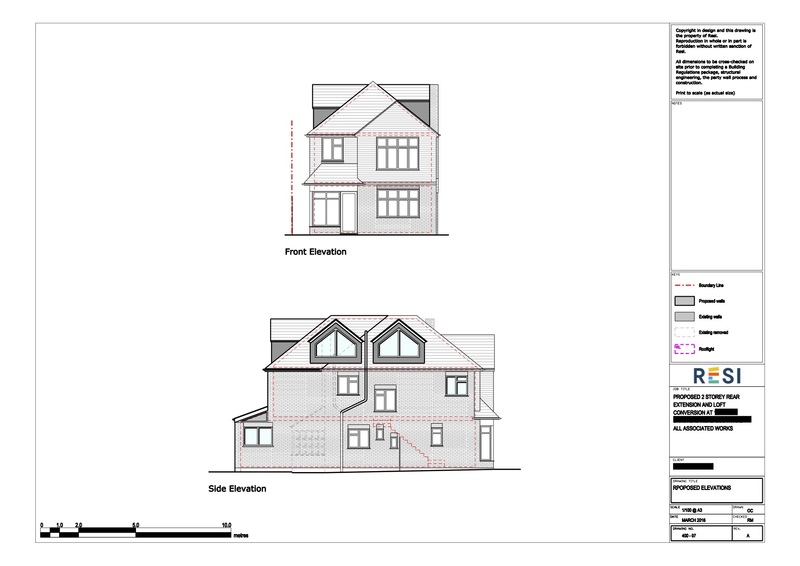 This project was carried out under householder planning permission that was granted on 20th July 2018. 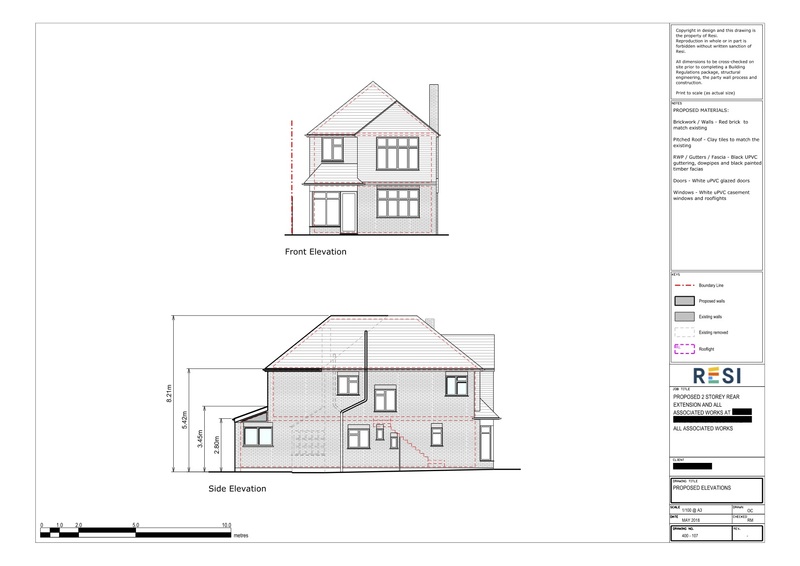 Our client underwent a rear extension with a loft conversion on their home. They were not quite sure of what this new space would hold, but they knew that they wanted it to be filled with lots of natural light. 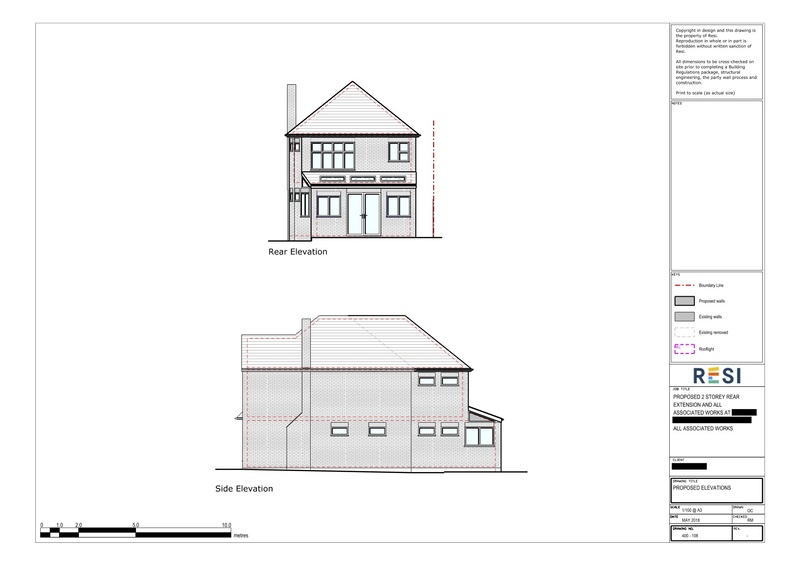 Furthermore, they specified that they were looking for the exterior of the house to be matching as closely as possible to the existing external style. 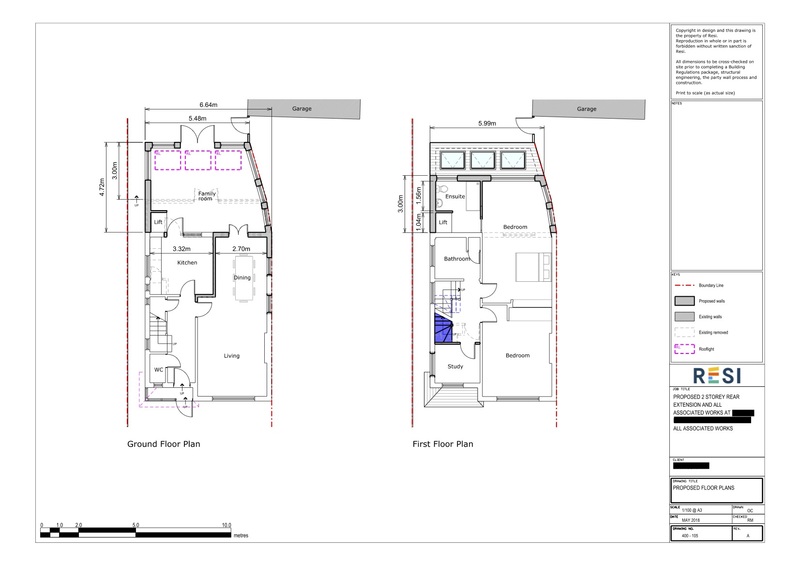 I designed a fairly extensive plan, which encompassed an extension on three levels. On the ground floor, the new space solely accommodated a very large family room, with three white uPVC casement skylights, and on the first floor I designed an ensuite that was attached to a significantly enlarged bedroom as a result of the added space. 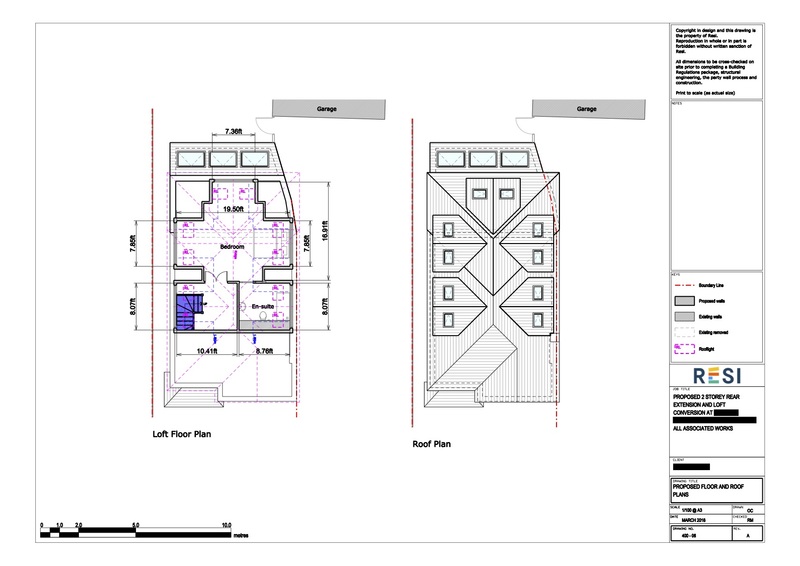 The loft benefited from a whole new floor of living space, which included a bedroom and ensuite. This floor was fitted with ten skylights… that’s right, we said ten! I tried to maintain some consistency in style by using clay tiles for the new roof, in order to match what was existing.